These 3 songs were inspired by shared memories from retired participants taking part in our Colchester Memory Afternoons project. 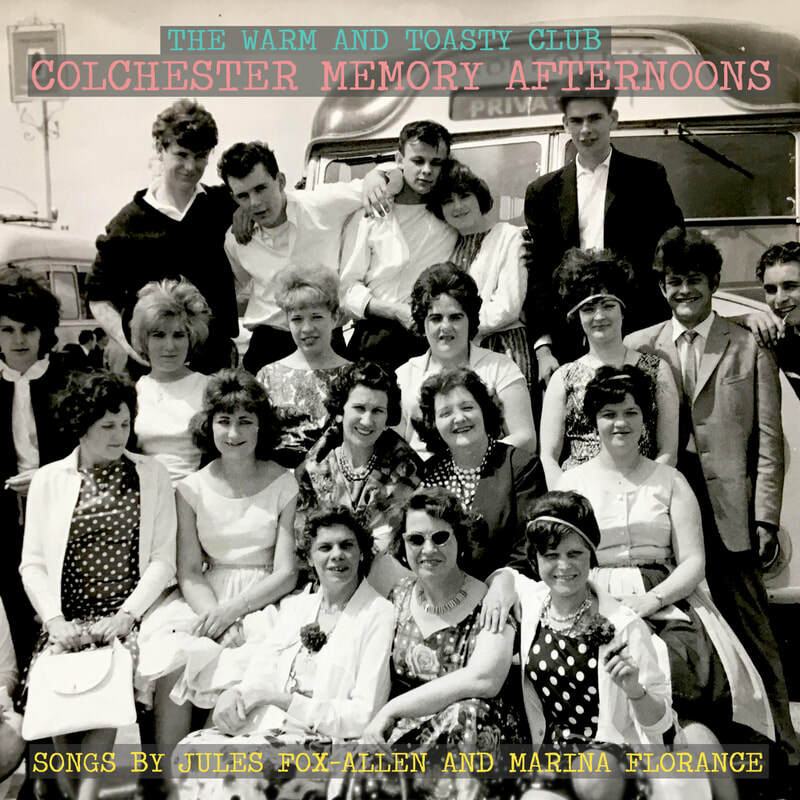 Jules and Marina attended Memory Afternoons in Colchester, got to know our participants, became part of the Warm & Toasty Club family and went away to write these specially commissioned songs. We think they have captured something very lovely with these songs and we feel they really honour our participants and the rich lives they have lived. 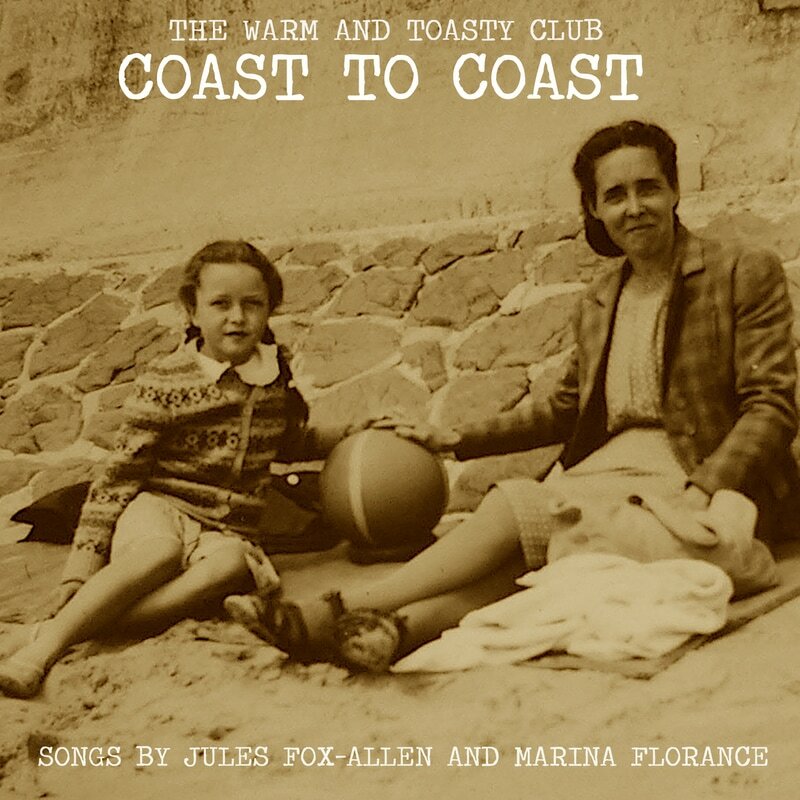 These 3 songs were commissioned by The Warm and Toasty Club for the Coast to Coast Project and written after Jules Fox-Allen and Marina Florance. 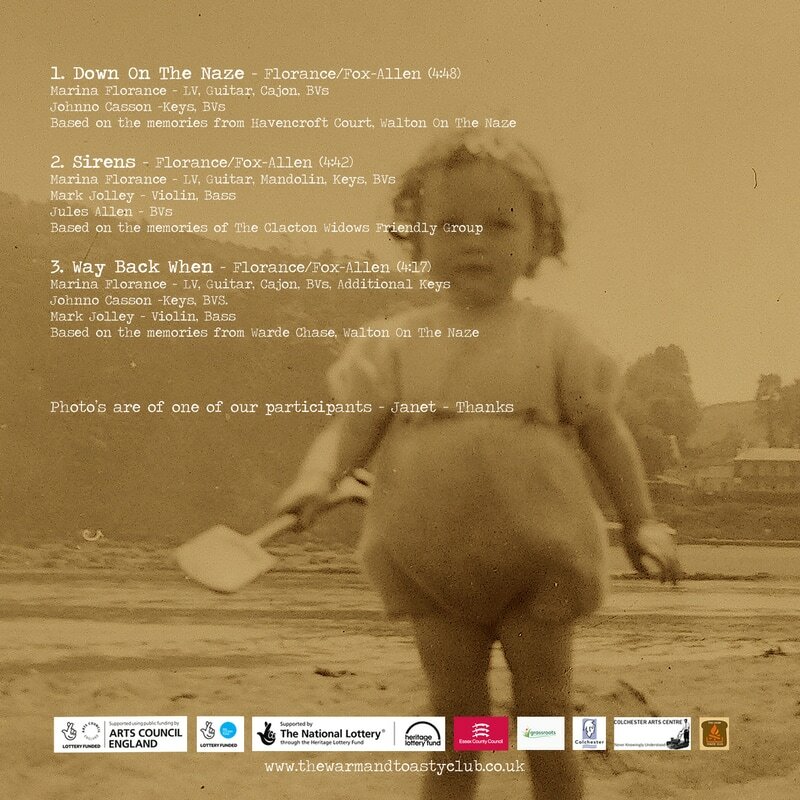 Jules & Marina attended our Memory Afternoons on the coast of Essex and wrote these songs, which Marina then performed live for the participants. ​The Memory Afternoon sessions have been a great place for our wonderful retired participants to share positive & poignant stories of their younger days, charting some of their journeys in life, often through World Wars &/or times of great social change in Great Britain - it has been a pleasure to hear people centred stories of how people used to live & what they got up to in the 1920’s, 30’s, 40’s, 50’s, 60’s and beyond for the Coast to Coast project. They all are special Essex based people and we would like to thank them for the shared memories, laughter and friendship. 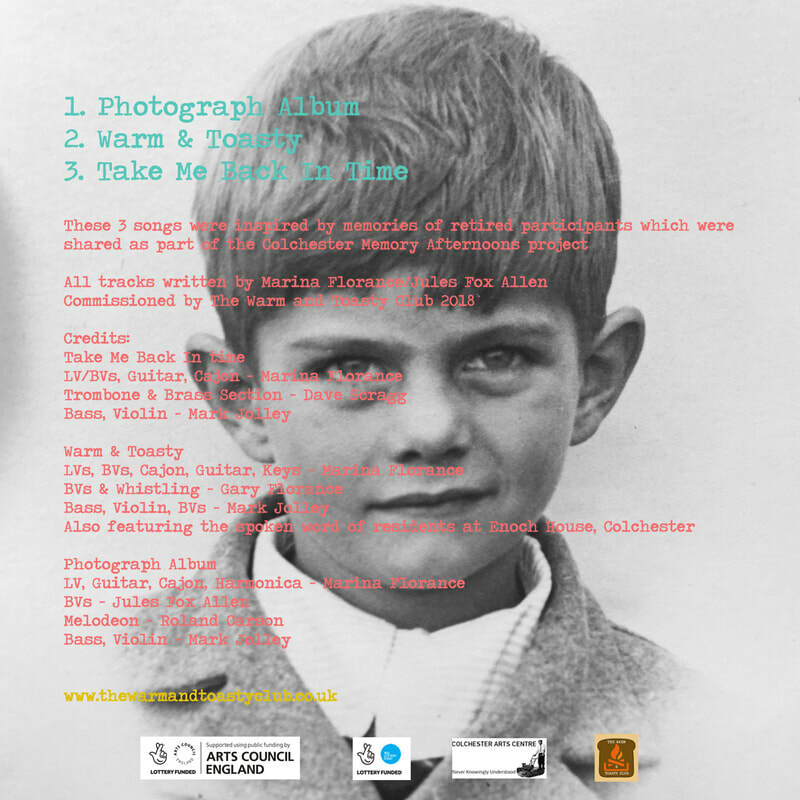 Marina & Jules said - we cannot thank Johnno Casson enough for being asked to be part of this superb project. We’ve enjoyed every memory afternoon (sometimes too much), every performance & every moment spent with The Warm and Toasty Team. memories of so many inspirational people. The tea & biscuits were good too.